Reboot Day 16 - Introducing the Gohorn's starships! Reboot Day 16 - We had an internet hiccup yesterday and had to replace our modem so were not able to post an update yesterday. Today, changing it up a little and showcasing the Gohorns! We haven't featured a lot of starships yet. So let's start with Anton, our lead designer for the Gohorn ships. Anton was commissioned to render a Gohorn task force engaged in battle. 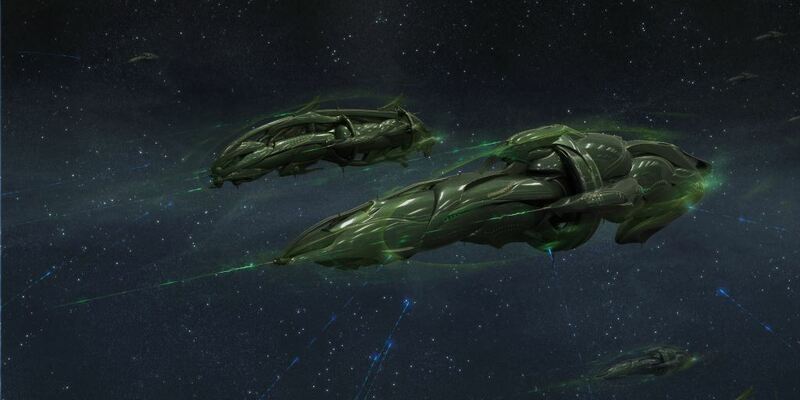 The Gohorn ships are massive vessels that compensate their lack of speed and agility with raw firepower. Enjoy today's feature!